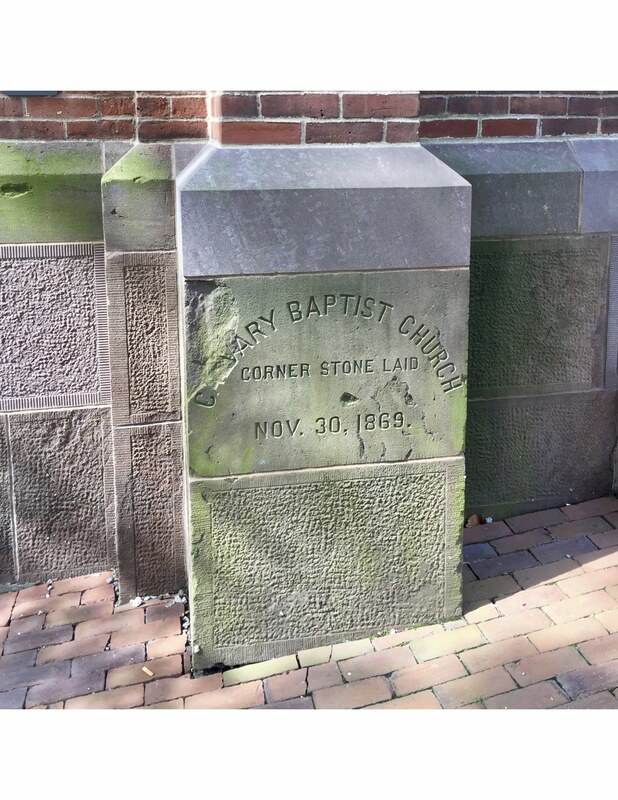 In 1860, First Baptist Church established a Sunday mission school at 179 Dwight Street. 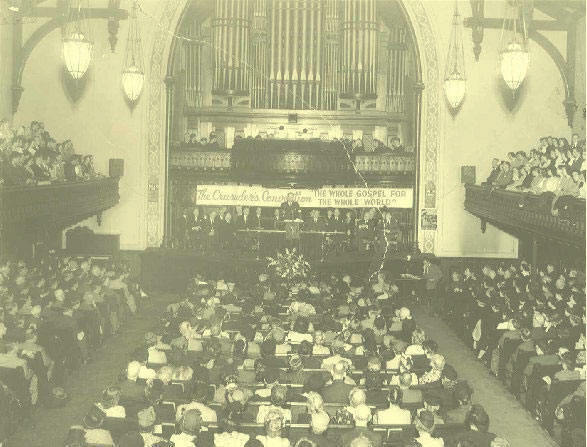 It eventually grew so large that its founders felt ready to acknowledge it is as an independent-branch church, calling it Calvary Baptist Church. 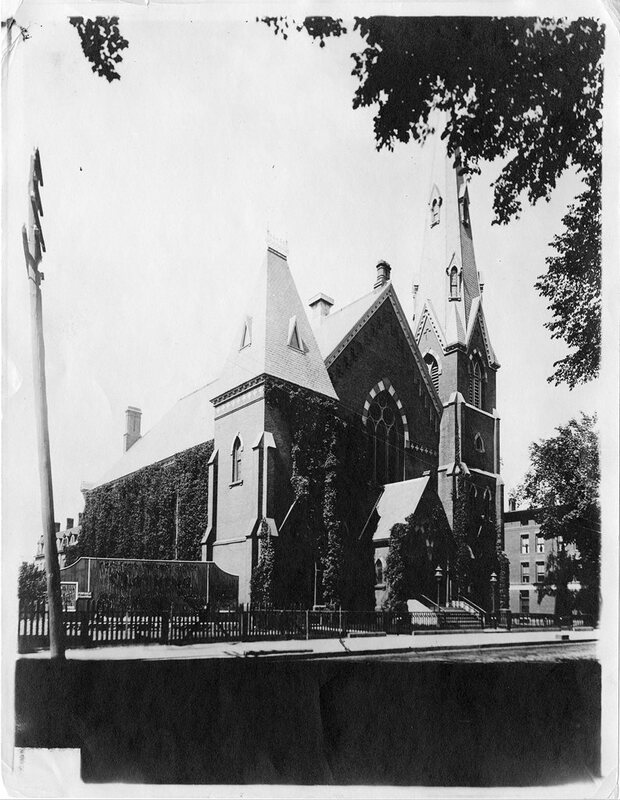 Its first building, which is now the Yale Repertory Theatre, was founded on the corner of York and Chapel Street, and the cornerstone was laid on November 30, 1869. Around this time, Chinese students began coming over to the United States in order to pursue secondary education in the Connecticut Valley, as well as higher education at northeast schools like Yale. 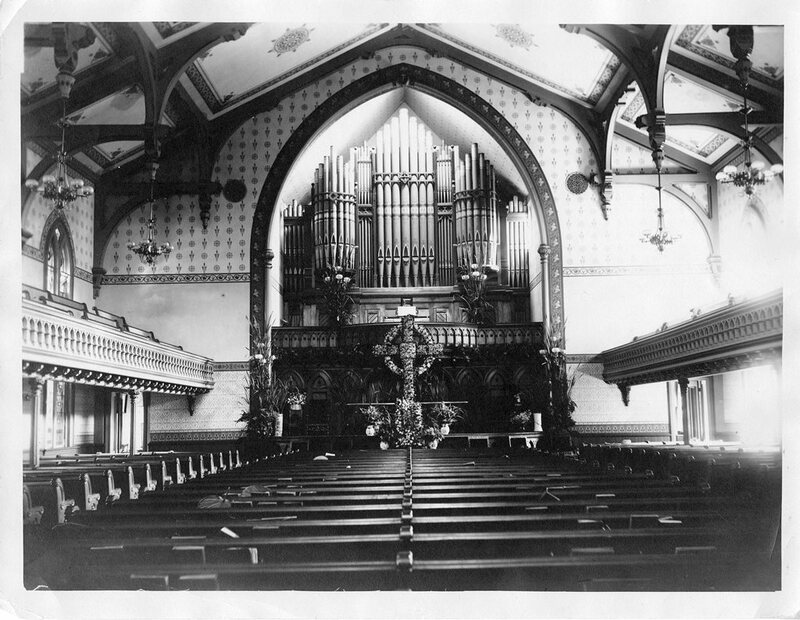 Experiencing a large influx of Chinese people, Calvary shortly thereafter launched its Chinese mission in 1892, which consisted primarily of English and Bible classes. Upon completion of study, many returned home to share the good news of the gospel, and for the ones that remained they became known as Calvary’s Chinese Christian Fellowship. This fellowship would significantly grow in size over the next one hundred years. So much so that in 1994 the American congregation felt it was right to transfer the ministry over to the Chinese Christian Fellowship, the current Calvary. Quite poetically, the church is now back on Dwight Street, namely, the place where it all began. Our rich history reveals how God has uniquely positioned, formed, and called us for the present moment. We are a witnessing community to those at Yale specifically and New Haven more broadly. And since our congregation is mainly comprised of Chinese, Chinese-Americans, inter-cultural and inter-generational dialogues are always taking place. In this, we continuously look to Christ for life-giving means of cultural-exchange and worship. Yet Calvary does not seek to be a church solely for the Chinese. We welcome all in God’s house, celebrating and cherishing the diversity within Christ’s body.